Superfoods are nutrient-rich foods considered to be especially healthy. Many fruits and vegetables have earned this status—including mushrooms. While mushrooms are a familiar ingredient easily found in the produce aisle, there are actually countless fungal species in the world. 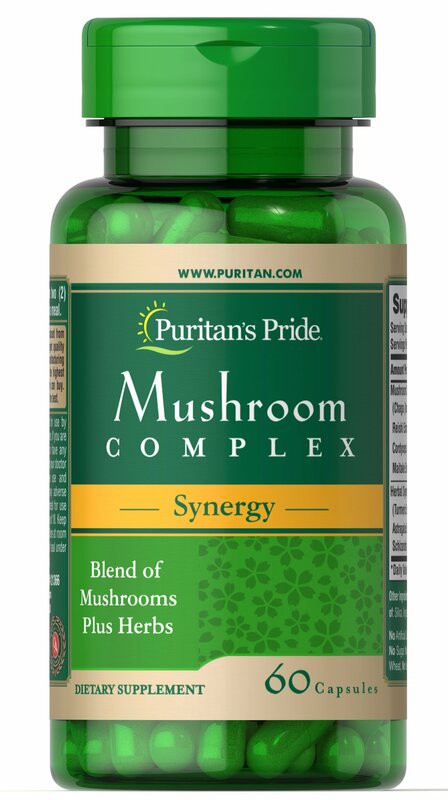 Puritan’s Pride has researched and found the best, capturing the goodness of these special, edible mushrooms in one great complex. 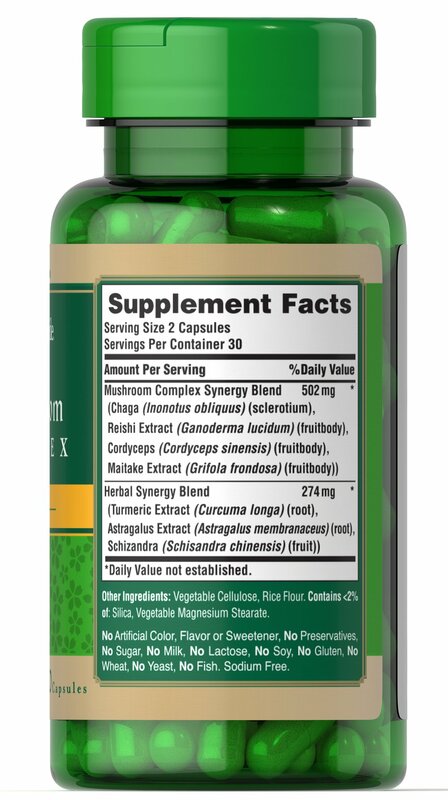 Our Synergy Mushroom Complex is a unique blend of mushrooms and herbs that work great together. It contains chaga, reishi, cordycpes and maitake mushrooms. These mushrooms have long been used for their healthy properties. For example, maitake contains the beneficial polysaccharide compound Beta Glucan. 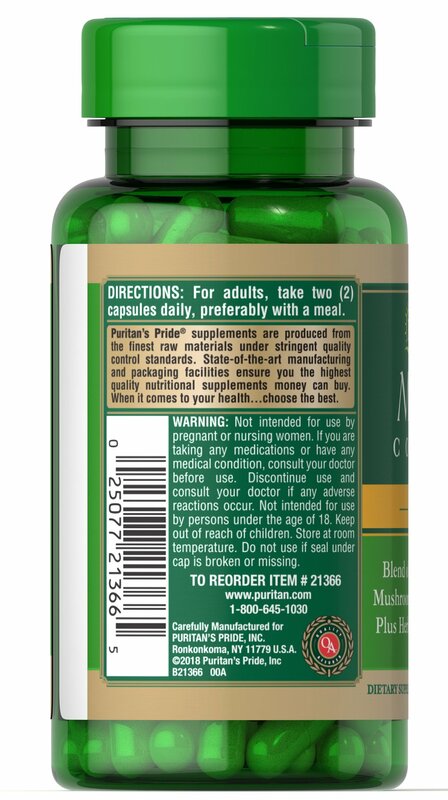 This special blend is filled with some of the best that nature has to offer, helping you achieve a state of well-being. Gluten Free. No Artificial Color, Flavor or Sweetener, No Preservatives, No Sugar, No Milk, No Lactose, No Soy, No Gluten, No Wheat, No Yeast, No Fish. Sodium Free.